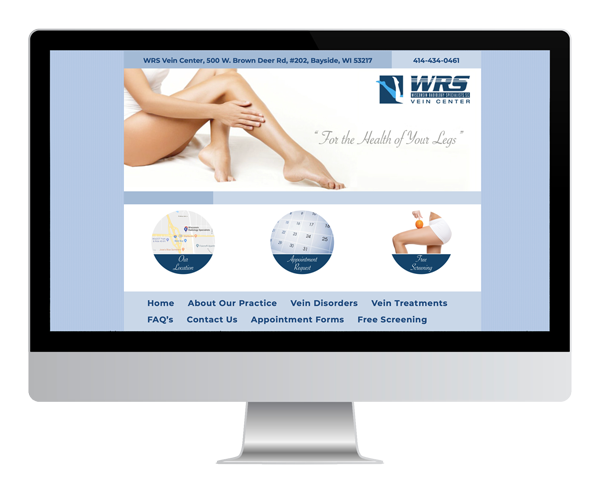 The WRS Vein Center is conveniently located in the MSI Building on Brown Deer Road between I-43 and Port Washington Road in Bayside, Wisconsin. Traveling east on Brown Deer Road, turn left (North) onto Port Washington Road. After turning onto Port Washington Road the road narrows to two lanes, turn left (West) at W. Glencoe Place. Enter the MSI office building’s main parking lot. It is the second driveway on your left. Enter through the rear (North) doors of the MSI office building. Wisconsin Radiology Specialists is located on the second floor just to the left as you step out of the elevator.